Dude, police! Quick – jump out the window! 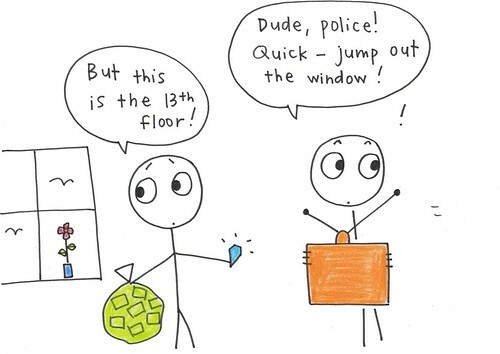 But this is the 13th floor! Hurry up! 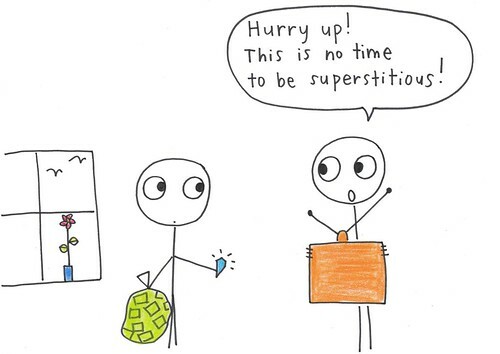 This is no time to be superstitious! From Friday Joke on show 1166.